CHULA VISTA, Calif. (KGTV) - Limited bus service from east Chula Vista to downtown San Diego is set to start in September, with free rides to kick off the month. The South Bay Rapid’s limited bus service (Rapid 225) begins Sept. 4, with initial service from the Transit Station/Park & Ride at East Palomar Street off Interstate 805 in Chula Vista. 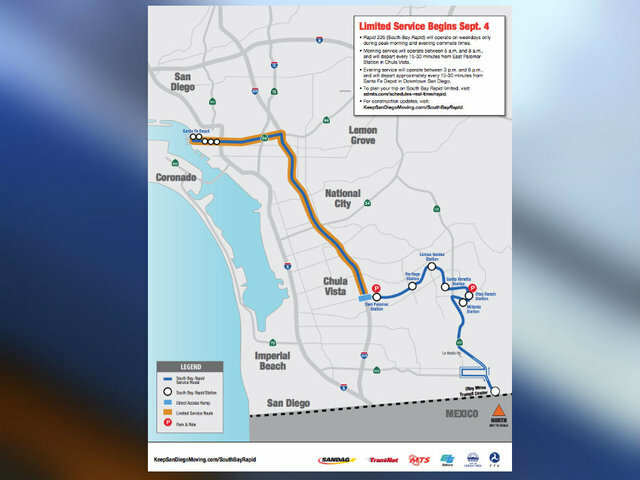 San Diego Metropolitan Transit System officials said South Bay Rapid rides will be free Sept. 4-7. Morning operating hours are 5 a.m.-8 a.m., with service leaving the East Palomar Transit Station every 15 to 30 minutes. Riders will be taken to Rapid stations on westbound Broadway in downtown San Diego. Evening operating hours are 3 p.m.-6 p.m., with service leaving the Santa Fe Depot in downtown San Diego every 15 to 30 minutes. Service will stop at Rapid stations on eastbound Broadway and then head to the East Palomar Transit Station. 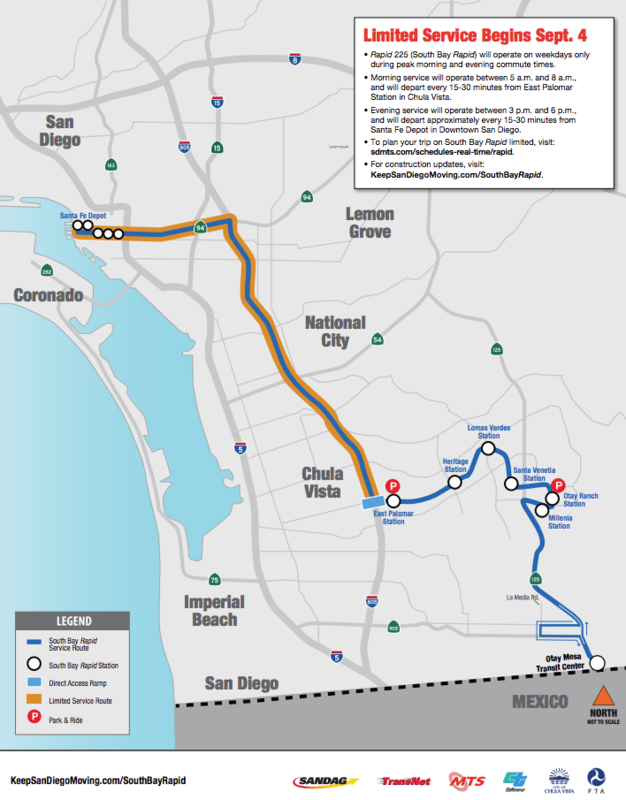 According to MTS officials, the full-service route from Otay Mesa, through Chula Vista, to downtown San Diego is scheduled to begin in early 2019.